Galactic Civilizations is readily playable by casual gamers and includes a powerful, sophisticated AI and game mechanics that make each gaming experience different and highly addictive. Playing as the leader of humanity, you have a rich and deep heritage to lead the human race and become one of the principal species of the universe. Achieve victory using military strength, economic might, or political power. Gamers with a Stardock account can be part of the "metaverse," where victories, defeats and campaigns can be recorded, allowing players to share their gaming experience. © Stardock Entertainment. All rights reserved. 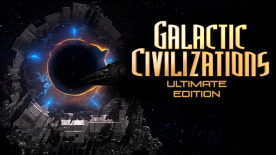 Galactic Civilizations is a trademark of Stardock Entertainment. All rights reserved.